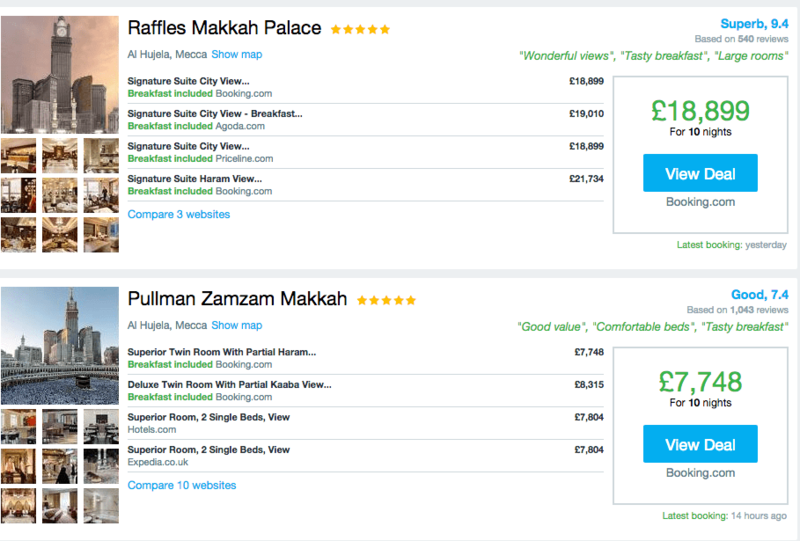 Paying £1,000 for a night in Makkah during Ramadan. Since I have a new Hilton Diamond status I thought I will test out how I can use it best. I decided to check out how much it will cost me to go for Umrah (Islamic pilgrimage) to Saudi during the last 10 nights of Ramadan. Last year I went and paid £2,000 for the whole trip instead of £20,000 and it was amazing thanks to the new Hyatt which had availability as a newly open hotel. This year it’s not the case since they caught up to the game of room blocking. Hotel prices during the last 10 nights, which are considered the holiest time in Islam, are extremely expensive. Hotels and tour operators usually make the most of it since packages for the last 10 nights are about £2000 per person and hotels easily fetch £1000+ per night!! Yes you read that right. I still consider Makkah to be one of the most expensive cities in the world, especially during Ramadan. Most of the time using points to book is not possible because these 10 nights get blocked too. There might be some options but the points required are extremely high for the properties. The new Conrad in Makkah is fully booked but since I am Diamond member, currently they are offering me a room for £1,000 per night. For the last 10 nights. Basically it will cost me a cheap £10,000. On top of this the visas cost around£400 per person (last year prices); they still haven’t announced prices for the visas this Ramadan. 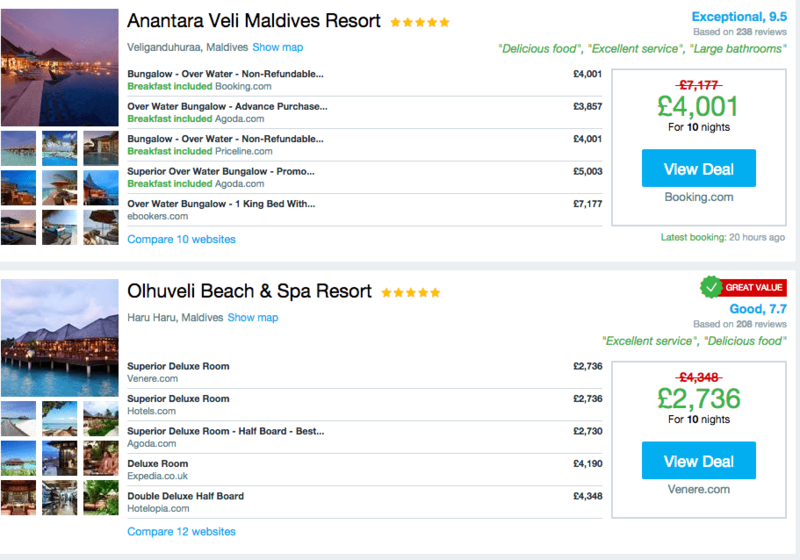 Even the water villas in the Maldives seem cheap compared to Ramadan in Makkah :). Maybe this year I will be spending Ramadan in the Maldives. Ha! However I have to say the feeling is amazing and I would happily pay the points price. If I have the cash then definitely the cash too. The serenity and beauty of this place is worth the money, even though you have to share it with a million people in one small space it still feels spacious and magical. I guess hotels and operators know this very well and take full advantage of it. What is your take? 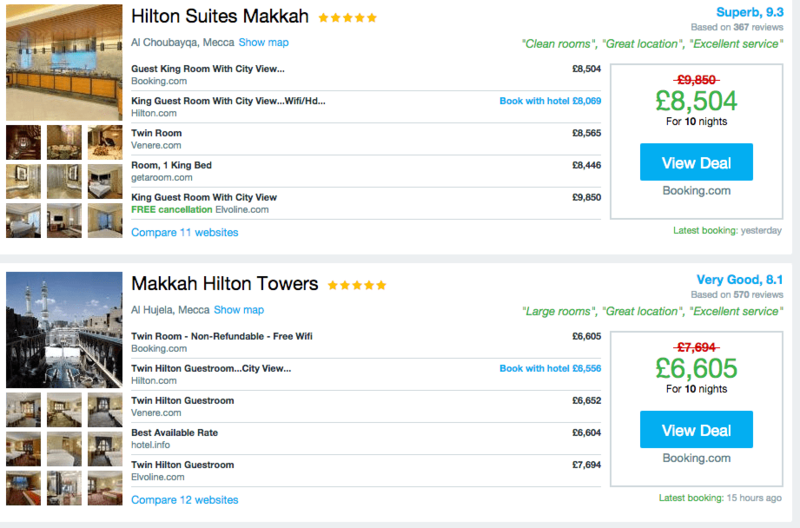 Will you go in Makkah for the last 10 nights with these prices? Wow. Those are some wildly high rates. £1000 a night? Yikes. The Maldives certainly do look lovely at this time of year. 🙂 That being said, this sounds like a special experience so it may be a tough choice. Salam, good post! While I do agree that the prices are high it is definitely worth it to go. I plan on going in Ramadan and I have booked the hyatt via points before they blocked the rooms (booked it months before!). 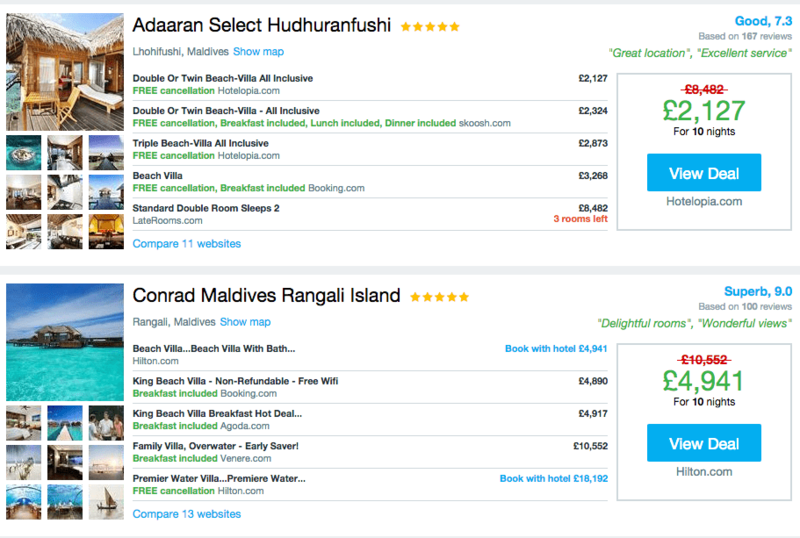 So it is possible to book these hotels with points, they just have to be done earlier.